I was contacted earlier this week on how to get into pinup modeling (and I still have yet to post Lauren's magnificent makeover). I recommend that you do pinup modeling (or any modeling) because you want to - it's a creative outlet that is amazing! However, it is still daunting knowing where to start. From my first shoot with Evon von. So much fun that day! Online communities such as Pinuplifestyle or Rockabilly Worldwide offer insights, support, and community for those in a retro lifestyle. I'm a fan (and member) of both. Here, you'll get a lot of feedback from other members and create some of the best friendships! I love my communities! 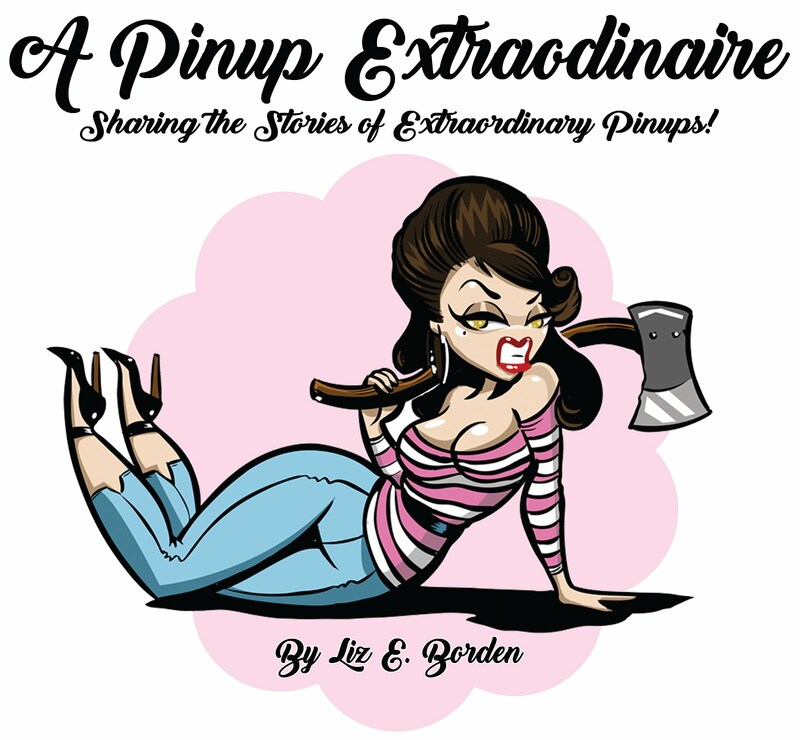 This is a great way to connect and meet photographers specializing in pinup photography. I still have this dress and it fits again! Well, I'm always going to recommend eBay. It's the most awesome online thrift store really. You get to clean your closet of your old duds and make money for new (or new to you) ones. Aside from eBay, thrift and vintage shops help to build a base for your wardrobe. Vintage pieces are great for car shows -- it's unlikely someone will show up in the same outfit. Additionally, sign up for emails from retro retailers for sales/secret sale. A gal can really clean up on Black Friday weekend. 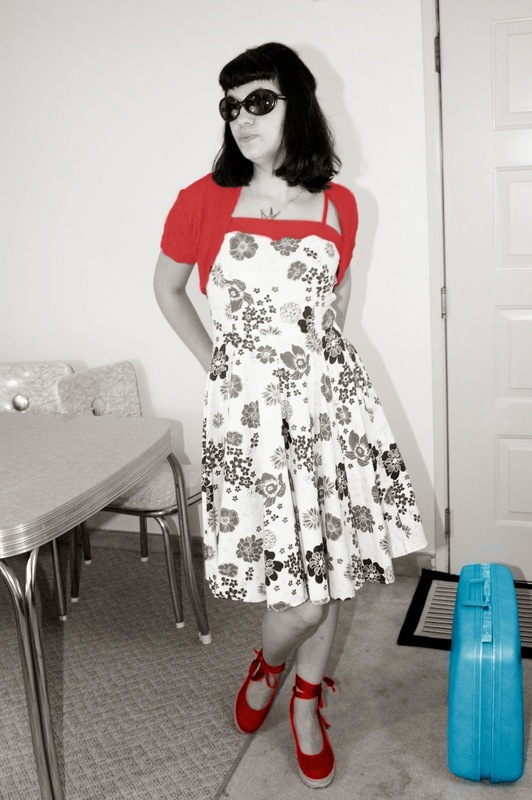 Pinup Girl Clothing -- reproduction clothing in a variety of prints and styles. I keep telling myself I don't have a problem. Also, they have a site for fans of their clothes where you can trade/sell your pug items as well. Daddyo's -- great selection of Stop Staring, Lucky 13, and Steady/Rocksteady clothing. Offers clothing for men and women. Tatyana -- formerly bettiepageclothing.com but still carries amazing vintage reproduction dresses and separates. Great office wear! Heart of Haute -- originally Heartbreaker Fashion but still the same great quality. I love the A-line skirts for every day. Sourpuss Clothing - a wide selection of clothing for gals, guys, and kids. Not to mention plenty of home decor! My Baby Jo -- focuses more on vintage and true vintage type accessories. I still need/want those madmen pen necklaces. Blue Velvet Vintage -- dresses for every occasion but very awesome dresses for special occasions. Unique Vintage -- collection for every occasion not just pinup! These are just a few I could probably name a few more or start a list of separate retailers for obsessions such as purses, make up, and shoes. As always, it is worth it to invest in quality made items and to take good care of your clothes so they can last several seasons (years). I've been wanting to learn to sew as well to further my wardrobe but for now it'll do. I miss my Netti dress. YouTube is a great resource on how to apply your makeup and style your hair - wonderful for visual learners. I have two books on vintage looks (both hair and makeup) by Lauren Rennells - my favorite place for inspiration for a new look/style. Most important of all though -- have fun and appreciate yourself! Pinup isn't just posing and having pictures; it's about appreciating the aspects of yourself that are awesome that you choose to showcase! I encourage others to do pinup to enjoy themselves and do that daring thing they've always wanted to do but thought they never could. Carpe diem! Already a pinup model, if so what did you do differently? Share below, please!